This is a big week for Minuteman Indivisible so you will want to read through the Muster and find out about all the events planned for this week. You'll find details about our General Membership meeting, which is this Thursday at the Lexington Community Center; State Senator Cindy Friedman will be discussing topics relevant to our teams. This Muster also shines a spotlight on our Constitutional Democracy team, describing their work on Russiagate, Tax Transparency, Immigration, Racial Justice, and the "What about Charlie Baker?" initiative. 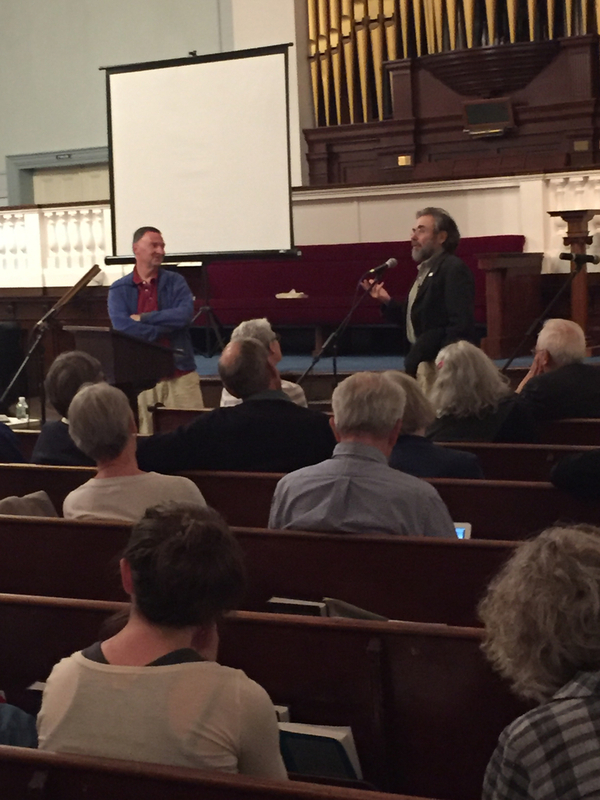 On Monday, the Healthcare team sponsored an excellent "Medicare for All" Healthcare Forum and you can read a summary of that meeting. Finally, don't miss the information about the upcoming meeting of our new "Weekday Warriors" team. Enjoy! Resist! and Hope to see you at our General Membership meeting on Oct 5th! Don't Miss our General Membership Meeting! This Thursday, October 5, our new State Senator Cindy Friedman will be speaking at our fall General Membership meeting in the Lexington Community Center dining room. We'll be serving refreshments at a social hour from 5:30 - 6:30pm, then Senator Friedman will speak about her priorities and the issues important to our teams and answer questions. 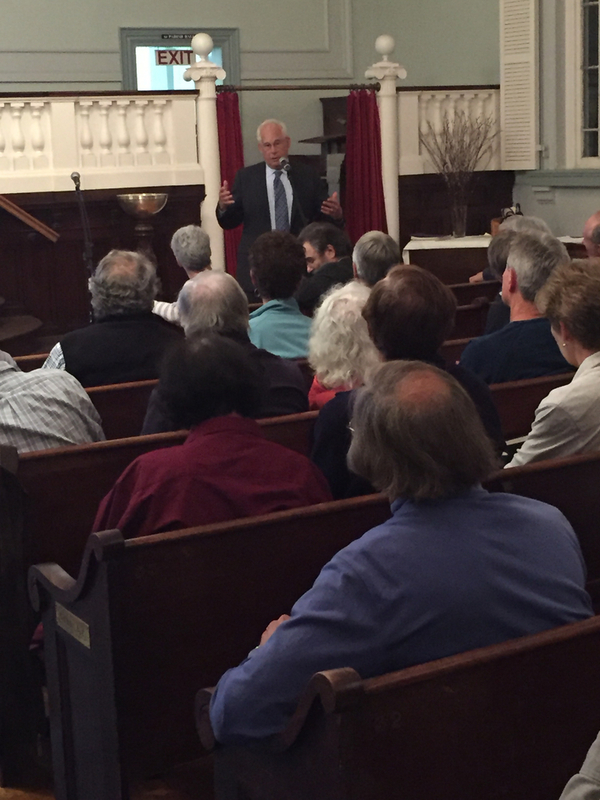 After Senator Friedman, we will hear an update from all of our teams on their latest activities and upcoming plans. Please join us and bring a friend! Senator Friedman won't be the only exciting thing at the meeting. 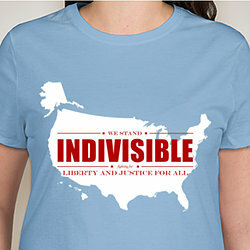 We will also be selling our very own Massachusetts Indivisible t-shirts! These t-shirts will allow us to better represent ourselves at rallies, events, and canvassing. As you might imagine, the Preserving our Constitutional Democracy team has its hands full. We are very busy keeping up with what is going on at both the state and the national level. We currently have two active subteams: RussiaGate/Conflicts of Interest and Racial Justice/Immigrant Rights. Each of these subteams are involved with more than one initiative, which are summarized below. RussiaGate/Conflicts of Interest: this subteam continues to track the Russia investigation and attempts to keep the membership of MI up-to-date with actions and articles. While each week brings new news, we do want to stress that everybody should sign up for the rapid response if Mueller is fired. To keep up to date with the latest information, we suggest this interactive timeline and this organization. The actions of the RussiaGate/Conflicts of Interest team are not limited to the federal level. The team has been very active supporting S.365 - the Senate bill introduced by Senator Barrett that would require that candidates for POTUS and VPOTUS submit their tax returns in order to be on the Massachusetts ballot. We submitted 80 written letters of testimony and testified with an Indivisible panel at the hearing. If you haven't signed a letter of support for S.365, it's not too late. Here is a sample letter with the emails of committee members on the top. Immigrant Rights: In response to the increase in arrests of undocumented immigrants and targeting of sanctuary cities, MI members are working with the local People Power group which is redoubling its effort to make all immigrants feel welcome and safe in our community. We have heard reports that even documented immigrants in our communities are hesitant to be involved in our local political process because of fear of reprisal. PP/MI members have meet with a representative of Lexington’s Human Rights Commission to explore working together in this regard and to create a forum in which members of the community with different viewpoints can discuss the proposal to designate Lexington a “welcoming” or “freedom” city. Members are also planning to meet with a group in Lincoln which is working on these issues as well. Members of the People Power group also participated in a DACA rally to lend our support to both the “dreamers” and their undocumented parents. Racial Justice: In August, we organized a Active Bystander training with the Lexington Human Rights Commission. The training was well attended by members of MI and non-members. While the training isn't racial justice specific, it is very useful in situations where a person is targeted based on their race or religion. Another effort that the subteam is working on is finding an organization that we might align ourselves with. After a bit of research, we learned that we should be seeking out organizations that would help us to be better allies. One member of the subteam is enrolled in the "White People Challenging Racism" class and will report back about potentially bringing that class to Lexington. Finally, we also would like to check out Boston Knapsack to see how that group might benefit our members. If you are interested in helping with this effort, please let us know. What about Charlie Baker? 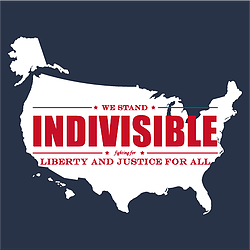 The Democracy team has taken seriously Indivisible Guide's rallying call to affect change at the grass roots level. We have lobbied our Senators, Representatives and State elected officials. In the process of talking with people on the streets, we have often been asked "Our Senators and Representative are doing what we want. What else can we do?" After some thought and a closer look at state politics, we have decided that our response to this question is "What about Charlie Baker?" In some cases, we have found that we agree with Governor Baker's stance. In other cases, we have found that we are in opposition to his position. Given that Governor Baker is considered one of the most popular governors in the country, we have decided to treat him like a fourth member of Congress and to lobby him for positions that we hold dear. Thus, we plan to keep closer track of Governor Baker and to encourage action when we find that he opposes issues that we support. Please read this article from the democracy team for a specific example of one area of opposition. Our New Daytime "Weekday Warriors" Group is Meeting October 11th! Are you free during the day on weekdays? Join our Weekday Warriors! We'll be meeting jointly with the existing daytime group begun by Indivisible MA District 5 in Arlington on Wednesday, Oct 11th from 11am to noon at the Robbins Library community room in Arlington. The meeting will include some activism training in areas such as how to feel comfortable contacting your representatives and ways to write effective letters to the editor. We'll also review what each of our Indivisible groups is currently working on and discuss the goals for the daytime group going forward. We hope to meet monthly and alternate meetings in each town. Healthcare in America: What's Next? On Monday, October 2nd, in collaboration with the Harvard Medicine Indivisible Group, we sponsored a forum on healthcare featuring a panel of three recognized healthcare experts: Drs. 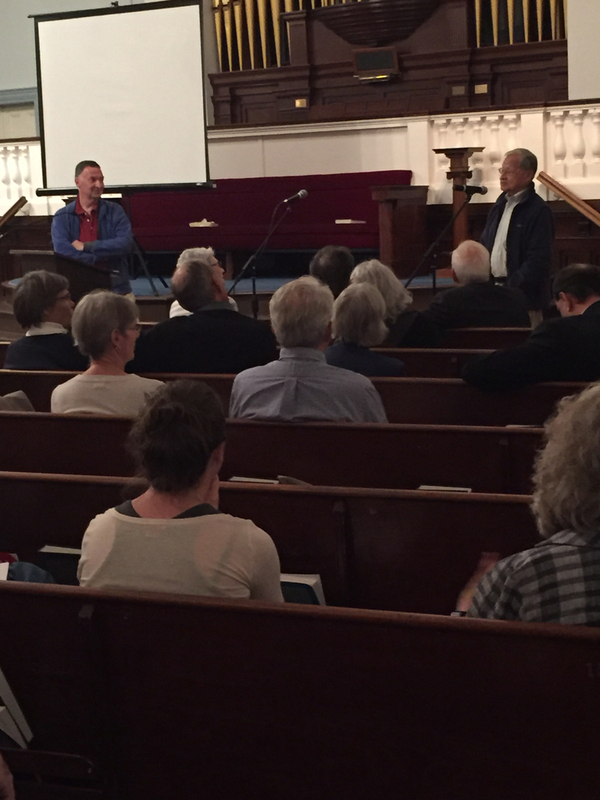 Alan Meyers, William Hsiao, and Don Berwick. The three panelists shared statistics and vignettes on the current state of healthcare in the US, and comparisons–rather CONTRASTS–with other developed countries. Their discussion makes an imperative for moving away from our multi-payer, multi-provider system to one of universal, single-payer healthcare. They called on Indivisible groups to step up to claiming the moral high ground and outlined a number of steps that we might take. We'll have lots of details about the forum on our website soon, but in the meantime you can get more information on the single payer healthcare movement, including actions you can take to support it, here. If this is an issue you'd like to devote more time to, please check out the "Right to Health Organizer Bootcamp" being held in Lexington on Saturday, October 14. 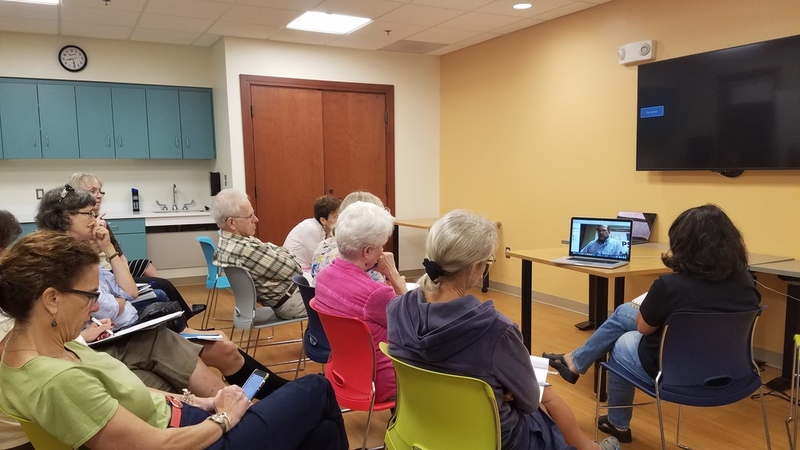 On Wednesday, September 27, we had a great turnout for our Skype session with James Thompson, who is running for Congress in KS-04. He nearly took Mike Pompeo's seat in the special election earlier this year, coming within six points in a district that's normally +20! He spoke with us for about an hour and answered questions about his experiences in the earlier campaign, his thoughts about the upcoming 2018 race, and the issues that voters are concerned about in his mostly rural Kansas district. After the meeting, two members volunteered to be co-captains, leading our efforts to help him win in 2018. On Friday, October 27, from 8:00-10:00AM, the elections team is hosting Chrissy Houlahan, candidate for the US House for PA 6. Chrissy is endorsed by Seth Moulton, the DCCC, and Emily's List. She is also one of the candidates the elections team has selected for our support. Come meet her and contribute to the effort. For more information about the event, email the elections team. For more about Chrissy Houlahan check out the Emily's List writeup. State Senator Cindy Friedman will join us to discuss the priority items that we have in common. The presentation will be followed by our membership meeting that will include information from each team about their accomplishments and strategy for the future months. This is a great opportunity to see what other teams are doing, hear about the Indivisible organization as a whole, and to better realize that we are "all in this together". The Right to Health MA Coalition is bringing together organizers from across the Commonwealth for a day-long Organizer Bootcamp prepare people for the biggest Single Payer Lobby Day in MA history, to be held at the State House on November 14th. The goal is to build a powerful, long-term movement for the right to health in Massachusetts. Details and registration information is available here. The event is free, but a donation is suggested to help defray costs. What is the electric grid and who runs it? Why is the grid important as we transition to clean energy? How can the grid be modernized to support the transition? Attend this forum presented by the League of Women Voters of Lexington and Massachusetts and co-sponsored by the Conservation Law Foundation to find out. Many people feel that big money in politics and corporate power have left our democracy broken. Find out what you can do about this problem at a forum sponsored by We the People Massachusetts who are calling for a constitutional amendment in the Massachusetts legislature. More details and registration information here. This conference, which is free but requires pre-registration, will focus on gerrymandering, redistricting, and the fight for American democracy. The conference program and a link to register are available here. This conference is for Indivisible members across the state of Massachusetts. As a follow-on to the June conference, this will be a full day session with specialized skills development workshops as well as networking opportunities. The goal is to make us all more connected and effective in our activism. There will be a special focus on preparing for the 2018 election cycle, just around the corner. Check the new Conference Website, Facebook page, or Twitter feed for the latest updates. Join us as we discuss the latest about RussiaGate, immigrant rights, and social justice issues. We are particularly interested in people to help us more with voting rights/gerrymandering and becoming better allies in the fight for racial justice. Come help us plan our actions for the coming month(s). 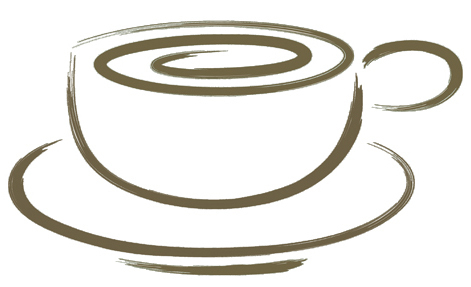 Join us at this new daytime group that will meet during school hours. We'll be meeting jointly with the existing daytime group begun by Indivisible MA District 5 in Arlington The meeting will include activism training and discussion of the goals for the daytime group going forward. The ACA is still the law of the land but there is still a lot to do to defend the law and make sure all Americans have access to affordable healthcare. Join us for our next team meeting! Join us as we begin discussing "Dark Money" by Jane Mayer and "The Third Reconstruction" by Rev. Dr. William J. Barber. Take a Moment to Celebrate Your Efforts to #KillTheBill! 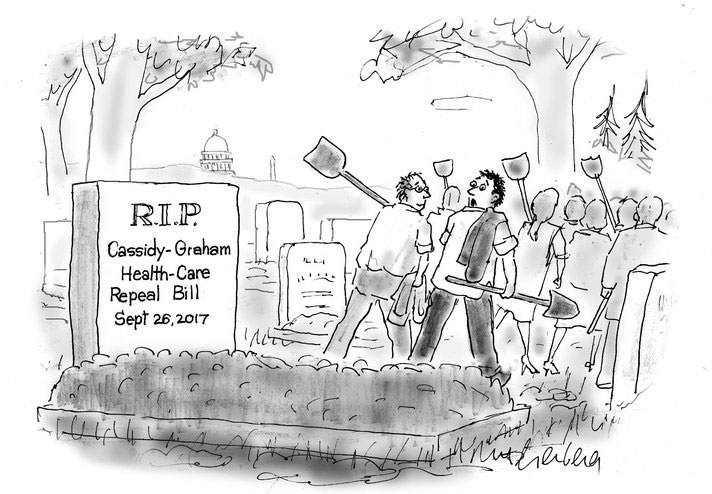 Thank you again for all your hard work in helping to "Kill the Bill." The Republicans are planning to be back with a new Healthcare bill after they tackle taxes, so rest up and take a moment to thank our Senators for their tireless efforts to defeat this bill. 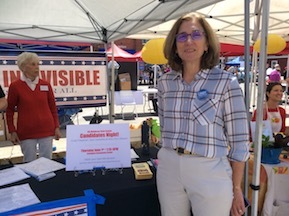 People Govern, Not Money needs a few volunteers to collect signatures for a ballot initiative to eliminate the undue influence of concentrated money on elections and governmental policy. People Govern, Not Money is working to collect 65,000 signatures state-wide.This effort is ultimately in support of a 28th Amendment to overturn the Citizens United ruling of the Supreme Court. Please contact Nancy Heselton by email: nancyheselton@gmail.com or phone 617-365-5726 to volunteer. Are you satisfied with the way things are today? The Fight for $15 will make sure workers can earn a living wage of $15 an hour, so they can make ends meet and feed their families. Paid Family and Medical Leave will ensure that MA workers are not forced to choose between work and their own health needs or the well-being of their children and other family members. Volunteers are needed to go to farmers' markets (we recommend going in pairs) or to simply take home petitions to have friends and family sign. Just send an email now to offer your help! Is There a Constitutional Convention in Our Future? Whether we want one or not, we may end up with an Article V constitutional convention. But what would it be like? That is anybody's guess. Read this article in the economist for some background.